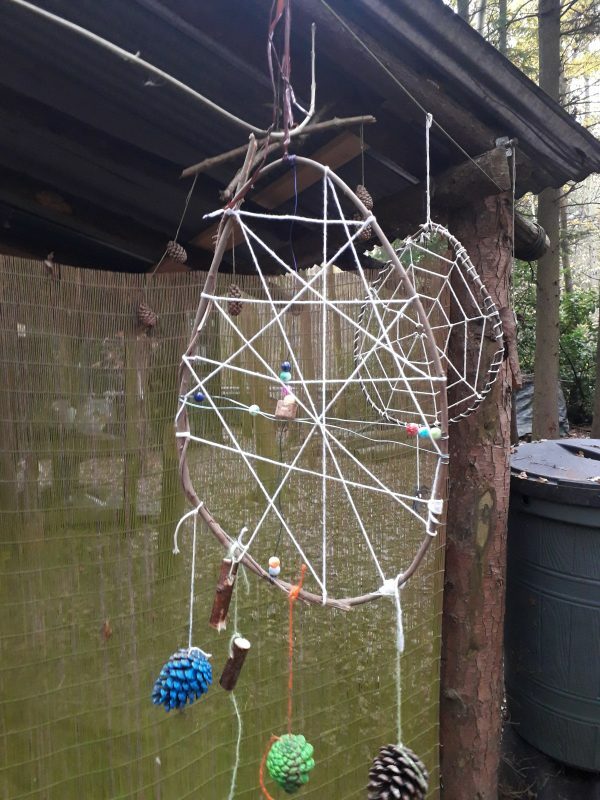 "Jenny was a very timid woman with very low self-esteem and confidence when she came to our Woman's Shed," explained Karen Little, the organiser of March Wood's "Woman's Shed" Project. Karen got Jenny started on some whittling which she engaged with total concentration during some of the sessions. She seemed to shut out everything, she became mindful of the task and was able to shift her focus to the here and now. 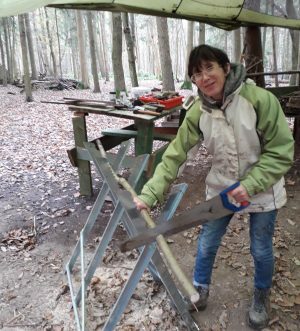 Jenny was transfixed by it but it also transformed her and she has since bought her own whittling knife and is pursuing a hobby that she's really good at and it's given her more confidence in every area of her life. As Karen says, "she takes time for herself, has learnt a new skill and is making new friends." Woman's sheds are growing as a way for vulnerable women to get outdoors in a safe space and build up their self-esteem and practical skills. In Kent, near to March Wood, there are quite a few "Men's Sheds", where groups of men meet with shared interests such as boat building, woodworking, and recycling. At least one of these is for ex-servicemen. It's sometimes said of men that they don't share their feelings face-to-face but rather shoulder-to-shoulder. 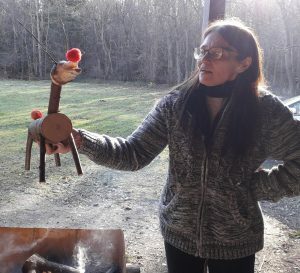 Like Men's Sheds, Karen's Woman's Shed is about being active as well as social. The Woman's Shed meet-ups are once a week for 12 weeks and the sessions last a couple of hours in the late morning after children have gone to school. The women meet around a campfire (there is, in fact, no actual shed!) and recently they've been carving wooden bowls and making charcoal in tins. They then use the charcoal for sketching. The group is about transforming the physical, emotional and social well-being of the women that attend. Recently one woman who was very shy joined in with an archery course organised by Karen. On her first shot, she hit the bullseye. Even though this was probably beginners' luck, she persisted and has now joined an archery club in Ashford where she has an active social life through this. This is exactly the sort of thing that the sponsors of the Woman's Shed, the Shaw Trust, are hoping for from the Woman's Shed Project. "My Woman's Shed can be a very emotional place," warns Karen. "Once Women are relaxed and doing things together they start to share their experiences and build up trust in each other. There are sometimes tears, but these women find strength in each other and great friendships have been formed. It's not just me teaching them stuff - the women who come will share their skills. 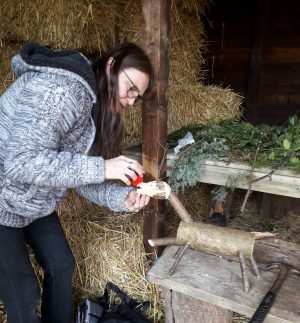 The group have learnt and shared skills such as traditional wood carving, cordage, willow weaving and natural art. Whatever else happens we drink a lot of tea."